These days just about every intelligence agency and police department is using drones to see where the human eye can not see. Recently at a Blackhat conference, a couple of guys revealed a DIY Spy Drone the flies, sniffs Wi-Fi and Intercepts phone calls. In the last year or so, such technology has been coming down in price and it appears that they are now within reach for people in the private sector. For example, if you click here, you can review a video of a German build Micro Drone. Not only that, click here and review a video of a hover drone. They appear here to stay and a new trend in the private sector. Actually this concept is really nothing new, only the technology that goes along with the idea to get high to take a photo and spy. I can recall the first wireless micro cameras I obtained (they have come a very long way since then) were designed for those hobbyists who fly remote control model airplanes. If fact, we obtained some demos of some small remote control helicopters a few years ago that one could attach a camera to. The problem with them then is that they took a great deal of practice in order to move them in a way that they would not crash. Apparently, they have become much easier to operate these days. Not only that, the micro cameras are better and build in DVRs (tiny digital video recorders) much smaller now so a whole camera or video system can be onboard them. With the utilization of GPS car trackers and camera spy drones, you can now see the ability to both conduct a surveillance and video record the subject without leaving your office. It’s on it’s way as far as the technology is concerned! Think about that. You deploy a GPS car tracker and watch it on the computer screen. 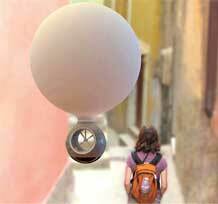 Once it starts moving, you get your camera spy drones ready to go. As soon as the vehicle stops, your spy drones are ready to take video footage of your subject all by remote control. Far fetched? I didn’t think so and most of the technology is already there. In fact, all of the technology is already there, it just needs to be perfected a little more. If you haven’t noticed, technology is moving at lightening speed these days. What is cutting-edge right now, tends to be out of date in a year or so. So I am advising you that really soon, you are going to be seeing private sector investigation, intelligence and security agencies advertising that they have their own private eyes- in-the sky spies! It would be to your advantage to develop an interest in this technology and follow it. If you run out and buy stuff, be sure to check with the aviation authority as some of this stuff you have to have a license to operate. The spy cameras and the DVRs are certainly now small enough. Real time GPS car trackers have been around for a while now. So what’s next? Is this next? Time will tell and we are sure that the utilization of such a process will be regulated and maybe even outlawed. You can likely see into the future right now as you review this like I can. What does it mean? It could mean a few years from now private sector spies and private-eyes will all own tiny eyes in the sky that they control from well their smart phone. This type of product is already on the market. There are of course privacy concerns with all this technology like there is with everything else. The FTC has already gotten involved in a few cases when a publication used a drone to take photos. There are laws! Click here to watch the video on this. For those of you who have not followed this technology, I can tell you that almost every law enforcement agency in the country is already using spy drones in some form or another. Getting high and seeing down is important for the safety of officers and spy drones can be used to track and find. (Click here to watch a video of the spy drone of the Miami Dade Police Department) As you know, what the military and law enforcement is using today, becomes the technology of the near future for those in the private sector as pricing always comes down as technological development goes up. Spy Done technology in the private sector has come of age. Spy Drones can and are being used for safety purposes by the military and law enforcement. The ability to quickly see from a high vantage point has many uses. There are not private companies that are building these for use by anyone which are listed at the end of the link list below. 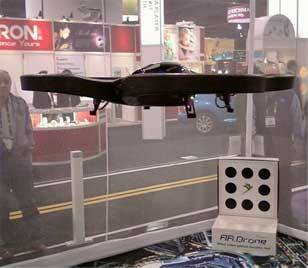 Article: Personal Flying Drones Are Here Should We Be Concerned? 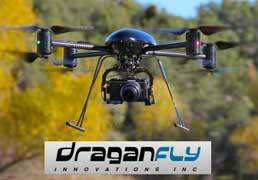 Article: Have You PreOrdered Your Drone? 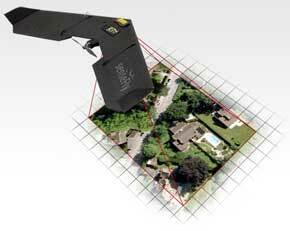 Article: Flying Drones From Your Home! This article was complied from links, videos and aids inside the NAIS members section The Investigative Trends Resource Center. To find out more about PEN (the NAIS members only web site) click here. For more information on The National Association Of Investigative Specialists and PEN, click here. 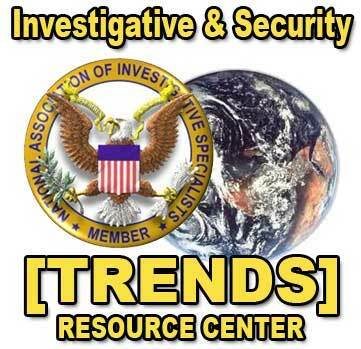 The Investigative Trends Resource Center is also featuring: Emerging Technology -Flying Drones In The Private Sector, Emerging Microsoft Surface Technology, The Virtual Autopsy, Dogs In The Courtroom, Crime Predicting Software, Counterfeit Brands, Cable And Music Piracy Investigations, Flash Mobs – A Criminal Trend, Your Cell Phone Could Be A Bug, Cell Phone And Computer Forensics. To find out more about PEN, click here. In his memoir, Utah private investigator Scott Fulmer offers a backstage pass to his most complicated cases, from kidnapped kids to disappeared diamonds. Witnesses in criminal cases sometimes refuse to talk to investigators. It’s disappointing, but hey—that’s life. Here's how I deal with it. Madame Fourcade’s Secret War by Lynne Olson tells of a French socialite’s crucial spy network during WWII. A law enforcement agency’s record of contact with a person, address, business, or asset can produce key evidence that might otherwise be unavailable. Op-ed: In an era when misinformation is destroying the public discourse, combating it is fundamental to what we do, as private investigators, law enforcement pros, and investigative journalists. As Instagram influencers and podcasters with lots of fans, Atlanta bail-recovery agents Alex Haynes and Jon Dalman are public-facing outliers in a field that often values anonymity. In The Whispers by Greg Howard, a boy searches for his missing mother with the help of mysterious beings. Private investigation is a great career choice for young people just getting started in the work world. Here's why. Preston Lauterbach’s Bluff City looks at the strange legacy of a civil-rights figure who worked as an FBI spy. When a powerful organization fails at even the most basic investigative tasks, one wonders whether getting at the truth was ever really the goal. The Indiana State Police have adopted the SIG Sauer P365 as their back-up duty firearm for their full complement of troopers. Minnesota Department of Natural Resources Conservation Officer Eugene Wynn drowned on duty after an incident on Cross Lake in Pine City Friday evening. An officer with the Tucson Police Department has made a mission out of caring for young women—girls in some cases—who are the victims of human trafficking. Phoenix Police Chief Jeri Williams says she is "unafraid" of new data that showed that officer-involved shootings in her department more than doubled in 2018 over the previous year. She said she wants her department to learn from findings of a study she commissioned to examine the details of the rise in shootings among her officers. A K-9 with the Coos County (OR) Sheriff's Office suffered serious injury when it was struck by hundreds of porcupine quills during a pursuit of a wanted subject over the weekend. Two-thirds of the country views technological advancement as having made their overall lives better compared to the lives of their parents, according to an Ipsos survey done on behalf of GET Creative, a division of USA TODAY NETWORK and the Charles Koch Institute. The National Council for Home Safety and Security has released its findings on the "Safest Colleges in America." A Ponemon Institute study has found that 73 percent of respondents believe their organization’s IT security functions are typically understaffed due to the difficulty in attracting and retaining qualified candidates. Amazon is asking its drivers to take selfies to verify their identities and lower the chances of fraud. Help us recognize the unsung heroes of the security industry – nominate a security leader to be named one of Security magazine’s 2019 Most Influential People in Security. Millennials and men are more often fooled by scams and robocalls, says a new report. According to the Department of Homeland Security's 2018 Fiscal Year Report, they will be implementing facial recognition technology to identify approximately 97 percent of airport passengers departing the country. Despite the United Kingdom’s Brexit plans, London remained the leading international destination last year for U.S. business travelers, according to global travel management company BCD Travel. ISC)² announced the availability of a range of new courses to its Professional Development Institute (PDI) portfolio. Global business travel spending reached $1.33 trillion in 2017 and is forecast to advance another 7.1 percent in 2018. An online audit of websites has found that consumer-facing U.S. government websites rank highest in security and privacy while healthcare comes in last. The pace of change within communications networks is happening at speeds not seen since the shift from circuit-switched networks to IP began a couple of decades ago. Mastercard, in collaboration with Microsoft, Workday and the nonprofit, nonpartisan Partnership for Public Service, launched the Cybersecurity Talent Initiative – a public-private partnership to recruit the nation’s best minds to defend against global cyberattacks. TÜV Rheinland released its Cybersecurity Trends 2019, a report that contains eight important developments in cybersecurity. According to the Assessment of Business Cyber Risk (ABC) report by the U.S. Chamber of Commerce and FICO, the level of cyber risk to the U.S. business community is holding steady for the first quarter of 2019, with a national risk score of 687. Jennifer Garner graces the front of this year's "Beautiful Issue" of People magazine with a cover story that cheers the way she balances Hollywood, business and motherhood. Lawyers across the U.S. are recruiting clients for a potentially crippling new wave of sexual abuse lawsuits against the Boy Scouts. Some House Democrats who are calling for impeachment proceedings against President Trump on a charge of obstruction of justice claim that President Clinton was impeached in 1998 for far less serious misconduct. As a leader of the Clinton impeachment effort, I disagree. This Easter weekend, France was still reeling from the burning of the 800-year-old Notre Dame Cathedral in Paris. Its destruction is an apt metaphor for the devastation of Christianity across Europe – and a warning for us in the United States. The woman went into a coma after the car in which she was riding collided with a bus in the United Arab Emirates in 1991, when she was 32 years old. She didn’t regain consciousness until 2018, in a hospital room in Germany. Notre Dame cathedral's 8,000-pipe organ has escaped undamaged from the flames that engulfed the building last week. After a sputtering start to their postseason, the Denver Nuggets are starting to look like the team that ended a six-year playoff drought in such dramatic fashion. A small European study has found that the average man's beard is more replete with human-pathogenic bacteria than the dirtiest part of a dog's fur. Potentially dangerous fungi are living on space stations and spacecraft right now — but we have no idea if they're harmful for astronauts and scientists need to do much more research to figure that out. What's the controversy over the baby T. Rex listed on eBay? They’re the things that often bug us the most — quite literally.